Discover the story behind Handsome Jack. Top community discussions about Borderlands: The Pre-Sequel! Is there a better alternative to Borderlands: The Pre-Sequel!? Is Borderlands: The Pre-Sequel! really the best app in Action category? Will Borderlands: The Pre-Sequel! work good on macOS 10.13.4? Borderlands: The Pre-Sequel! lets you discover the story behind Borderlands 2 villain, Handsome Jack, and his rise to power. 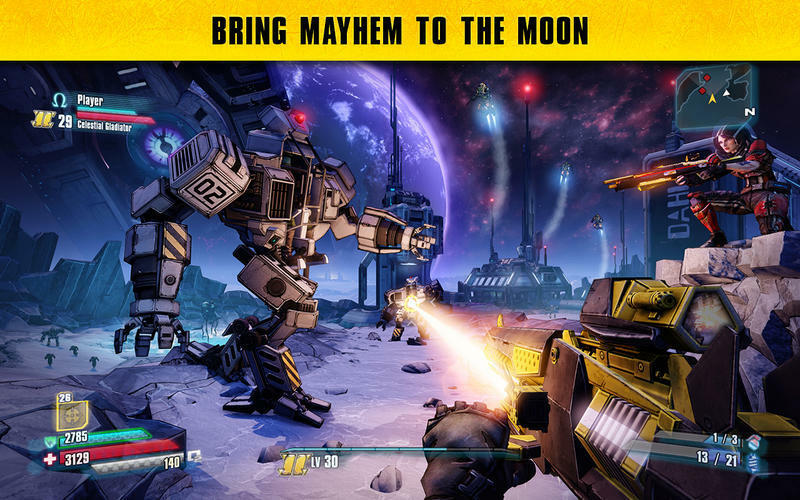 Taking place between the original Borderlands and Borderlands 2, the Pre-Sequel gives you a whole lotta new gameplay featuring the genre blending fusion of shooter and RPG mechanics that players have come to love. Float through the air with each low gravity jump while taking enemies down from above using new ice and laser weapons. Catch-a-ride and explore the lunar landscape with new vehicles allowing for more levels of destructive mayhem. What's New in Borderlands: The Pre-Sequel! Updated to bring the Mac version in parity with the Autumn Windows update. Tons of bug fixes and balance changes. Requirements for Borderlands: The Pre-Sequel! Borderlands: The Pre-Sequel! needs a review. Be the first to review this app and get the discussion started! Borderlands: The Pre-Sequel! needs a rating. Be the first to rate this app and get the discussion started!